Last year was incredible for Ricky Wysocki, as he secured the PDGA World Championship title for the second time in a row and continued to hone in on his skill set that is now leaps and bounds above nearly any other player out there. The recent announcement dubbing Wysocki as the 2017 Player of the Year was simply the icing on the cake, and yet had a special meaning to him beyond just another accolade. We caught up with Ricky to discuss his now third POY award, how he’s feeling about his game, and what he attributes to his success. It’s not just another item to add to a long list of accomplishments, as the Player of the Year award has a powerful meaning for Wysocki. The fact that he has now won this distinguished title two years in a row is a testament to the athlete that he has become. “You want to leave a legacy in your sport – when you win something more than once, you’re not a flash in the pan, you’re a real player,” said the South Carolina native. Knowing that every shot matters at every tournament he’s at, Ricky has grown to develop a deep trust with the discs in his bag. 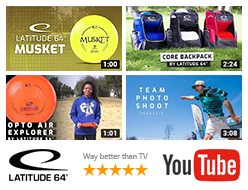 Noting that the difference between a 3rd place finish and a 5th place finish can mean more points toward winning Player of the Year, he has five go-to discs that he chooses for at least 80% of his shots. 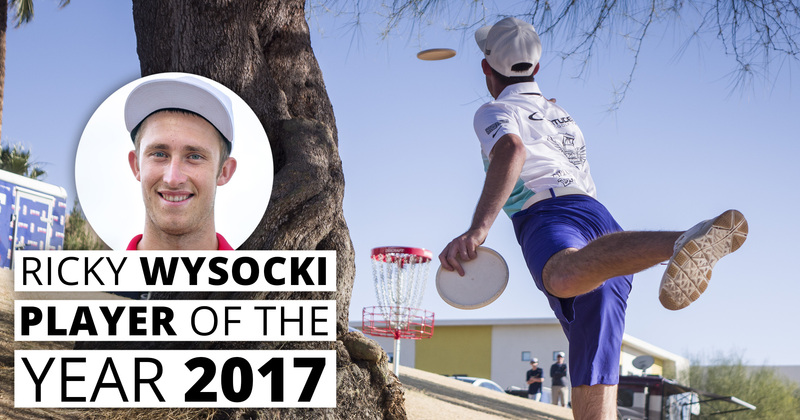 Congratulations to Ricky Wysocki on his impressive 2017 season and his third overall Player of the Year win. We look forward to what this year has in store for him!